Minister of Justice and Attorney-General David Lametti speaks during Question Period in the House of Commons on Feb. 7, 2019. 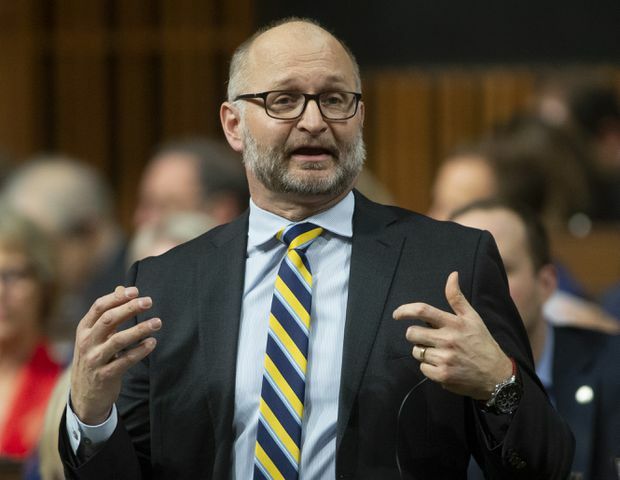 New federal Attorney-General David Lametti says it is still possible he could issue a directive to the prosecution service to settle corruption charges against SNC-Lavalin Group Inc. out of court. The Globe and Mail reported last week that the Prime Minister’s Office and other government officials attempted to pressure Mr. Lametti’s predecessor, Jody Wilson-Raybould, to direct the director of Public Prosecutions to settle the charges with SNC-Lavalin out of court. Ms. Wilson-Raybould declined to do so, according to sources. In January, she was demoted to Veterans Affairs. Mr. Lametti’s comments come as federal prosecutors face off with the Quebec-based global infrastructure company in court over their authority to pursue the charges. In court documents, SNC-Lavalin says it has made “permanent transformative changes” to its business practices, and “easily met” requirements for settling a federal prosecution out of court. It accuses federal prosecutors of being “incoherent” in their explanation of why they won’t settle. The company is facing charges of bribery and fraud connected to construction contracts in Libya. If convicted, it could be barred for up to 10 years from receiving Canadian government contracts. Under a 2018 federal law affecting corporate crime, prosecutors may stay criminal charges to protect jobs and shareholders, where companies agree to negotiated terms including an admission of wrongdoing, a fine and undertakings to clean up their act. SNC-Lavalin is asking the Federal Court of Canada to shut down the prosecution and order Kathleen Roussel, the Director of Public Prosecutions, to negotiate a settlement. Prosecutorial discretion on whether or not to proceed with charges has long been deemed a central feature of Canadian law. It is not normally subject to a court’s review. But the new law allowing for out-of-court settlements of charges against corporations, known as remediation agreements, puts judges in a supervisory role, and SNC-Lavalin appears to be arguing that that role begins when the prosecutor decides to lay the charge or negotiate. But outside lawyers retained by Ms. Roussel say the company’s request is without precedent; they have asked the Federal Court to dismiss it without a hearing. They called the decision not to negotiate a settlement “a classic case of prosecutorial discretion,” not reviewable by the courts. Under the new remediation law, the prosecution service is not permitted to consider the national economic interest in deciding whether or not to settle out of court when a company faces charges under the Corruption of Foreign Public Officials Act, lawyers for Ms. Roussel said. “In the present case, the DPP [Director of Public Prosecutions] was exercising (on behalf of the Attorney General) a power of ancient origin from England continued in Canada based on the Constitution,” lawyers David Migicovsky and Andrew Lenz said in a court filing. On Feb. 1, Federal Court Justice Catherine Kane conducted a five-hour session in Montreal in which the parties put forward their views on whether the court could conduct a judicial review of the prosecution service’s refusal to stay the charges and settle out of court. Justice Kane reserved her decision. The court documents are partly redacted. They reveal that the company began making its case to the prosecution service for a settlement almost immediately after the new remediation law was introduced in the House of Commons last March, and continued for several months, citing the “extremely negative consequences” of a trial – even one resulting in an acquittal. (A preliminary inquiry is already under way in Quebec in the case.) For instance, in October, news reports of the prosecution service’s decision not to negotiate a remediation agreement led to an “immediate 13.5-per-cent drop” in market capitalization, a $1-billion loss to investors, the company said. It said that, while a negotiated settlement may be done where it is in the public interest and is appropriate to do so, Ms. Roussel had told the company only that it was not appropriate. Lawyers contacted by The Globe with no connection to the case said they did not expect the company to succeed in its application for a judicial review. Meanwhile, Conservative and NDP members of the Liberal-dominated Commons justice committee want to call nine high-ranking Trudeau staffers to testify about whether there was undue interference with Ms. Wilson-Raybould while she was Justice minister. 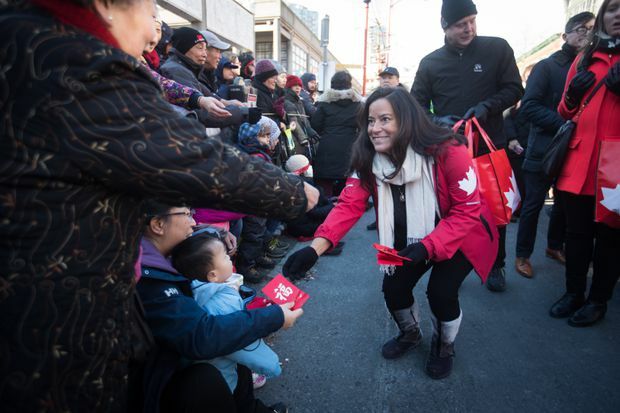 Jody Wilson-Raybould is seen at the Lunar New Year parade in Vancouver on Feb. 10, 2019. Liberal MP Anthony Housefather, the justice committee chairman, said on Twitter that the committee will meet Wednesday to decide whether a study of the matter would be useful. He said no one has tried to influence him. Among the witnesses the opposition wants to testify are Ms. Wilson-Raybould and top Trudeau aides including principal secretary Gerald Butts, Quebec adviser Mathieu Bouchard and senior adviser Elder Marques. The three advisers met with SNC-Lavalin representatives and Mr. Butts spoke to Ms. Wilson-Raybould about the remediation case in December. The PMO will not say if Mr. Bouchard and Mr. Marques also spoke to the-then Justice minister. Senior government officials had confirmed the SNC-Lavalin prosecution was discussed with Ms. Wilson-Raybould. Those were “vigorous” discussions, but that should not been interpreted as pressures, the officials told The Globe. Mr. Lametti, who has become the government’s lead spokesman on this matter, said for the first time on CTV that he has not spoken to his predecessor about the allegations that she came under pressure. He acknowledged in the CTV interview that he is not privy to the history of communications between the PMO and Ms. Wilson-Raybould. He said he was merely repeating what Prime Minister Justin Trudeau has already said on the file. Mr. Trudeau has only said neither he nor his staff directed Ms. Wilson-Raybould to take a particular course of action, and declined to use the word “pressure” when responding. “The Prime Minister has said that he did not direct my predecessor, so I’m basing it on what he has said publicly,” Mr. Lametti said. Also on Sunday, Official Opposition Leader Andrew Scheer and NDP Leader Jagmeet Singh said the Prime Minister should waive solicitor-client privilege so that the former attorney-general can speak about any pressure she came under. “Canadians deserve answers on this ‘matter,’ as the allegations surrounding it strike at the very heart of fair and impartial law enforcement and prosecutorial functions, themselves vital to the rule of law and to our democracy," Mr. Scheer said in a letter to Mr. Trudeau. On Sunday, Mr. Singh said the comments the government officials made to The Globe on Friday effectively invoked solicitor-client privilege. “They’re speaking about it themselves – Mr. Trudeau and his office are speaking about what happened – but the former attorney-general is not able to speak about what happened,” Mr. Singh told The Globe during a break in Lunar New Year celebrations in Vancouver.